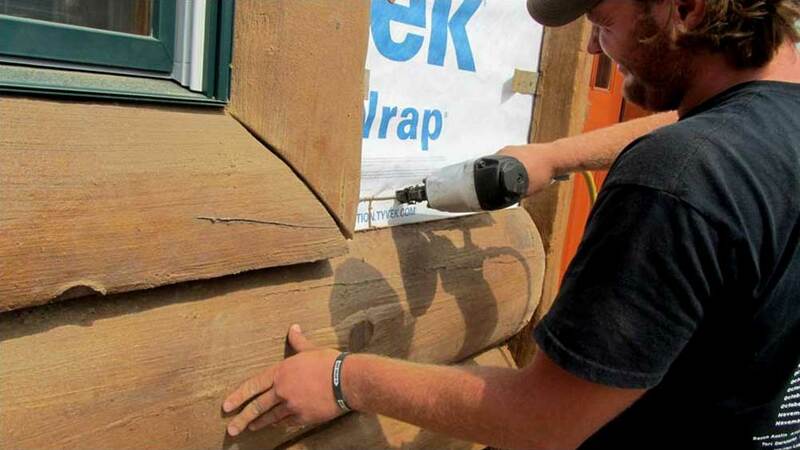 The NextGen Logs concrete log siding installation process is fast and hassle-free. We have a network of installers throughout the United States. However, if we don’t have an installer in your area, NextGen Logs are designed to be able to be installed by most licensed builders. 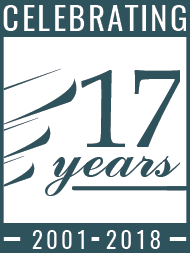 We’ll work directly with your builders to crete the worry-free log home of your dreams. 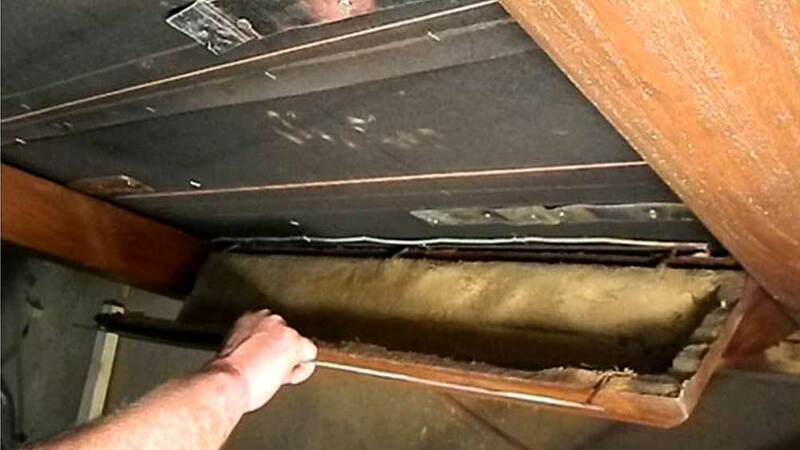 NextGen Logs also offers a program where we send a licensed installer to train the local crew to ensure everyone is comfortable with the installation process. We have a contact person for installation questions, and this person is available to builders during the entire installation process. 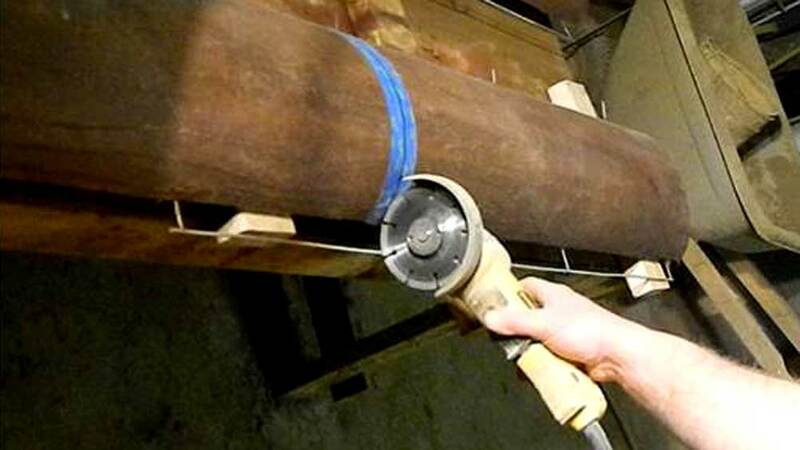 Below is more information for your NextGen Logs concrete log siding transportation, storage, and installation needs. If you prefer to print this information, you can download this information. Transport concrete log siding products on a flatbed truck. 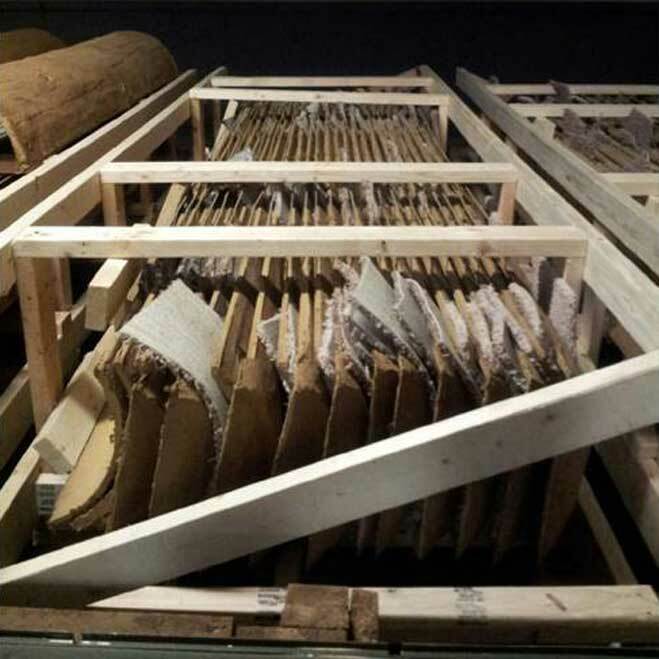 Do not stack the pallets. 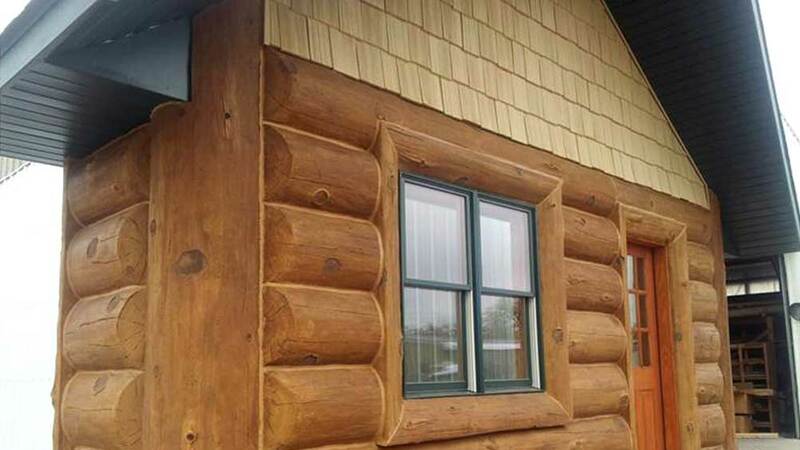 Before installing your NextGen Logs concrete log siding products, be sure to understand the difference between the log siding pieces. 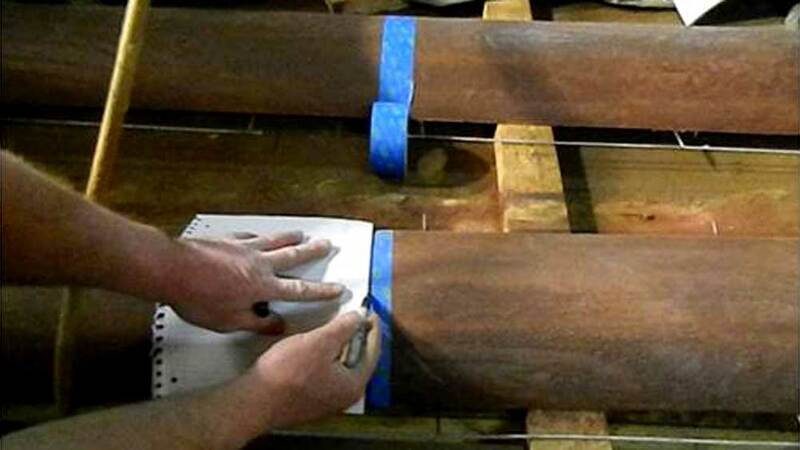 The main concrete log siding pieces have pins that run horizontally along the top and bottom edges. The vertical log corner pieces have metal straps along both long edges. The window and door trim pieces have metal straps along one long edge. 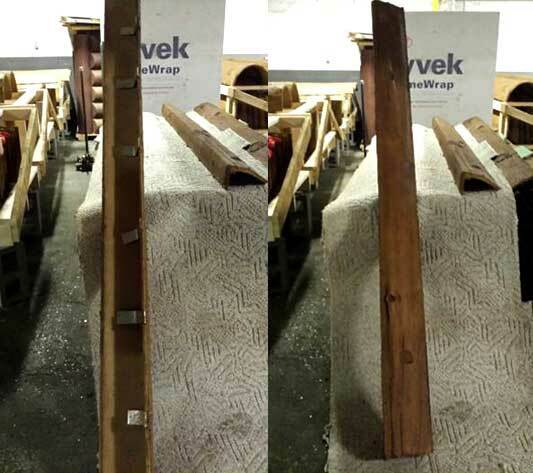 The photos below depict the above descriptions, with the back of each log siding piece pictured on the left and the front of each log siding piece pictured on the right. 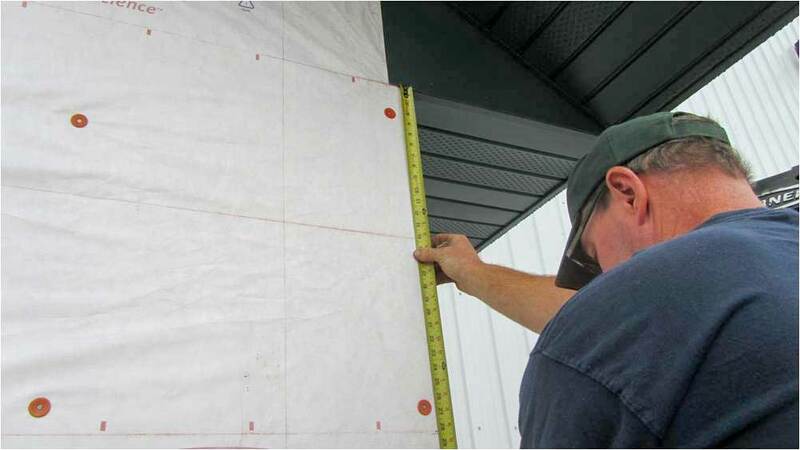 Layout the wall by measuring from soffit to foundation. Snap a line every 14 1/8″. Use painters tape to mark your cuts. 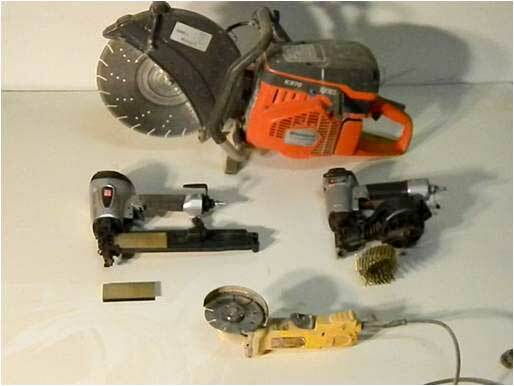 Then, cut on your mark with 4″ grinder. Install all trim pieces, outlet surrounds, and corners first. 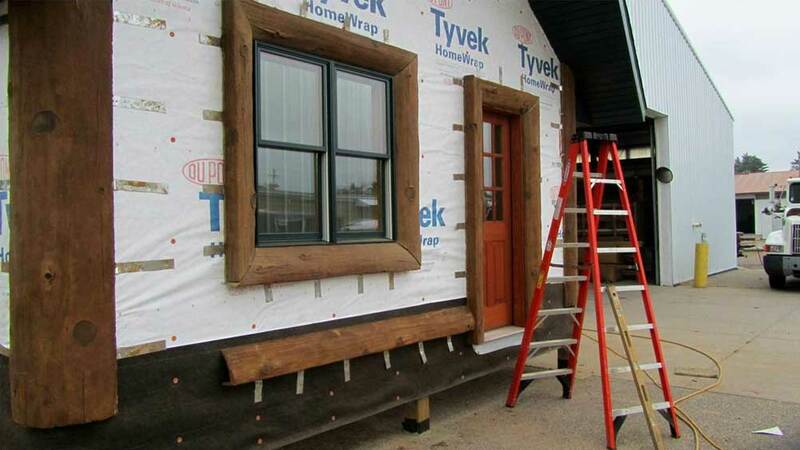 These pieces need to be installed prior to your main concrete log siding pieces. Install corners by nailing straps to wall with roofing gun, hitting wall studs. 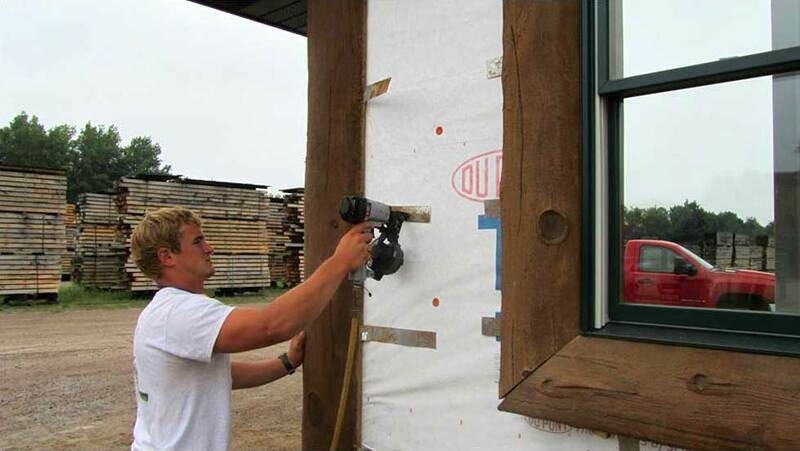 Install window & door trim pieces by nailing straps to wall with roofing gun, hitting wall studs. 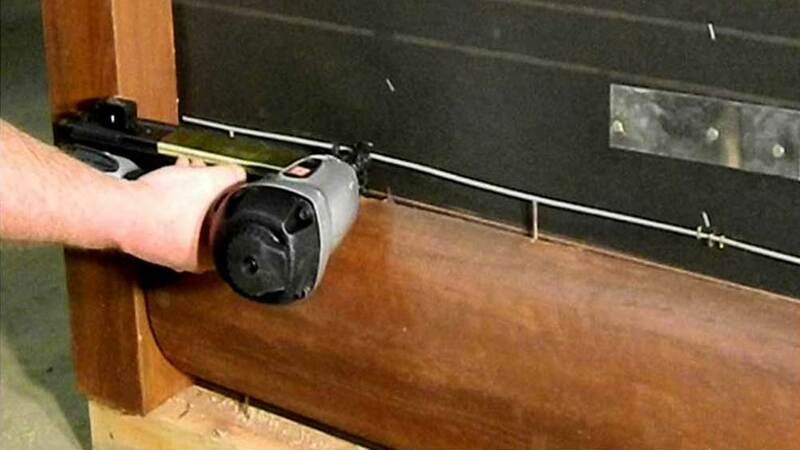 Install each electrical box by nailing wall ties to wall with roofing gun. 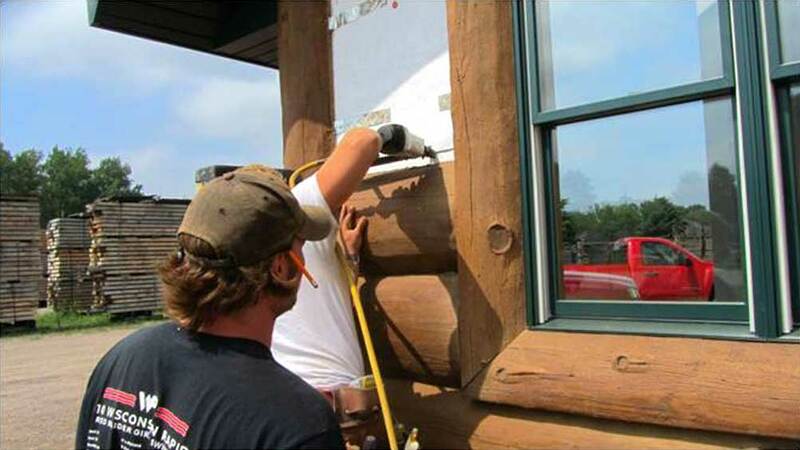 Once all of your NextGen Logs concrete trim pieces are installed, it is now time to install the concrete log siding pieces. Ensure the top of the concrete log is level with your chalked line you made during the layout preparation step. 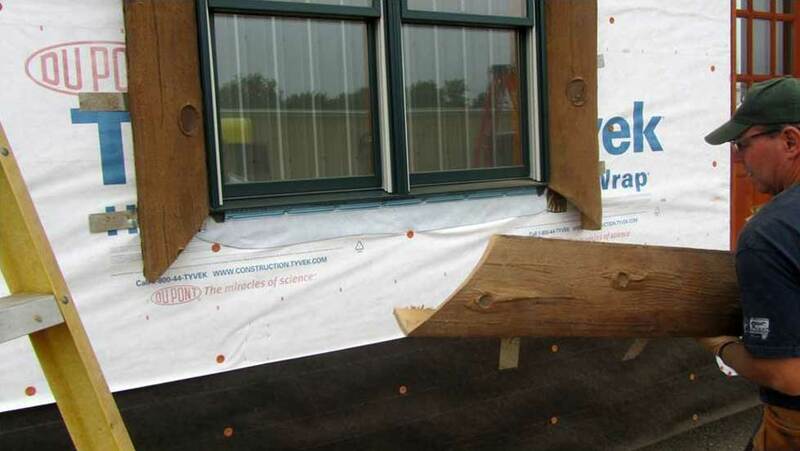 Install the concrete log siding pieces with 2″ staples, ensuring that the stapes hit the wall studs. 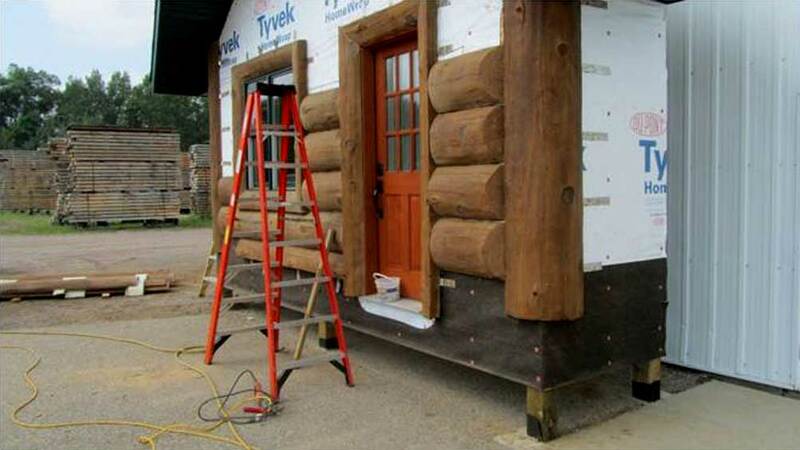 Install the second course of concrete log siding by sliding pins into the bottom log. Monitor the top of each log making sure you are level with your chalked line. 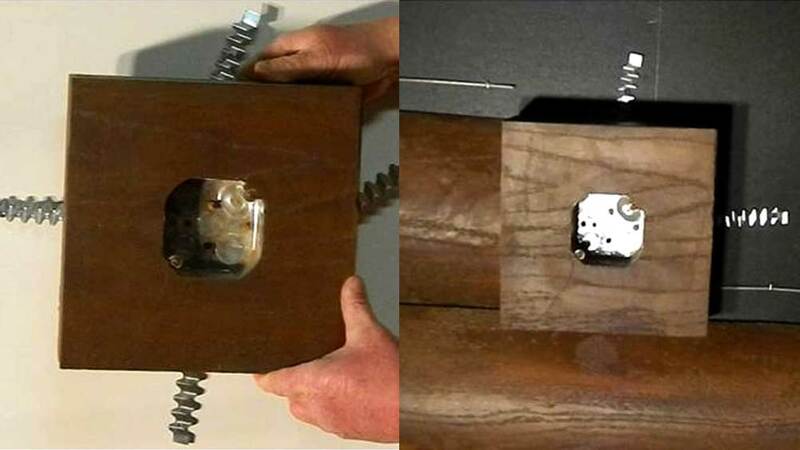 Continue to repeat the process: Slide pins into the bottom log and attach the top of the log with 2″ staples.